China's increasing presence, from economic to military links, is leading to a potential emergence of Chinese spheres of influence in which Southeast Asia will be regarded as China‘s backyard. To many observers, China‘s regional leadership constitutes an irresistible outcome of China‘s remarkable economic performances and influence. Faibank‘s well-known concept of the Chinese world order provides a model to understand international relations in Asia, which constructs China in the role of centrality and superiority in the system. Those who place emphasis on the long history of hierarchical order in Asia tend to endorse the fact that the Middle Kingdom has returned to the center as the most dominant power and regional leader. It is no longer a contested claim. With China tightening its grip on much of the South China Sea, the Association of Southeast Asian Nations (ASEAN) is struggling to adopt an appropriate and unified response. Southeast Asian countries have not only denied or unofficially accepted Chinese leadership, but have also called for other outside powers or partners not directly involved in the disputed issues (e.g. territory or sea disputes between China and Southeast Asian countries) to take a leading role. Although the strategic options of smaller powers are limited, ASEAN’s strategies towards great powers show that smaller powers still have a diverse menu of strategic options to choose from, depending on which is most effective in meeting its short- and long-term needs. The Trans-Pacific Partnership (TPP) is considered as one of the most important pillars of US’ rebalance move towards Asia, a strategy shift developed under the Obama administration. This strategy was formed in light of China’s increasing rise to power, consequently threatening the regional distribution of power in the US’ favor. Admittedly, China is not ready to upset the Bretton Wood system anytime soon, yet it has more than once demonstrated its revisionist ambition in the region. For instance, Xi Jinping has called for a new regional security order without alliances, to be decided by Asian nations among themselves. This makes China a unprecedented challenge for the US: a geopolitical rival committed to confront American unipolarity, while remaining deeply integrated with Washington and its allies economically. This makes trade a sensible approach in the US’ strategic goals in the region. US interests are also aligned with small yet strategically crucial TPP states in Southeast Asia, whose relations with China are of an intricate nature. The TPP, in this sense, is expected to give these states choices rather than economic dependence on China, which would potentially lead to weakened diplomatic and political leverage over Beijing. In short, TPP reflects US strategic implications before China’s increasing rise to power in the region, and it is expected to be a policy tool in shaping practices in the Asia–Pacific region and beyond. Even with TPP potentially facing its demise after US withdrawal, such strategic concerns still exist. China certainly understands US targets, and has come up with its own response: Regional Comprehensive Economic Partnership (RCEP). On its face, the RCEP’s primary goal is to solve the “spaghetti bowl” issue by combining the existing five ASEAN-plus FTAs into a single agreement. Considered a direct answer to TPP, however, the RCEP is much less ambitious in its scope and commitments. The key focus is on trade in goods, instead of various thorny non-trade issues included in TPP such as intellectual property, labor and environment codes, and government procurement. The RCEP, much like the TPP negotiation rounds, is progressing slowly, and its low quality starting point risks locking the region into a pattern of low quality FTAs, which may prove hard to break in the future. Regardless, RCEP is still a required trade deal to secure Beijing’s central role in the region economically. These two mega-regional trade agreements have posed a problem for countries in the region although some belong to both. As previously discussed, these two trade deals are technically different in terms of their level of commitment, and therefore are irreconcilable. Moreover, the geopolitical undertone of the China-US rivalry, while implicit, is apparent, and most parties in the region are arguably pursuing a sophisticated strategy of balance between the two giants. 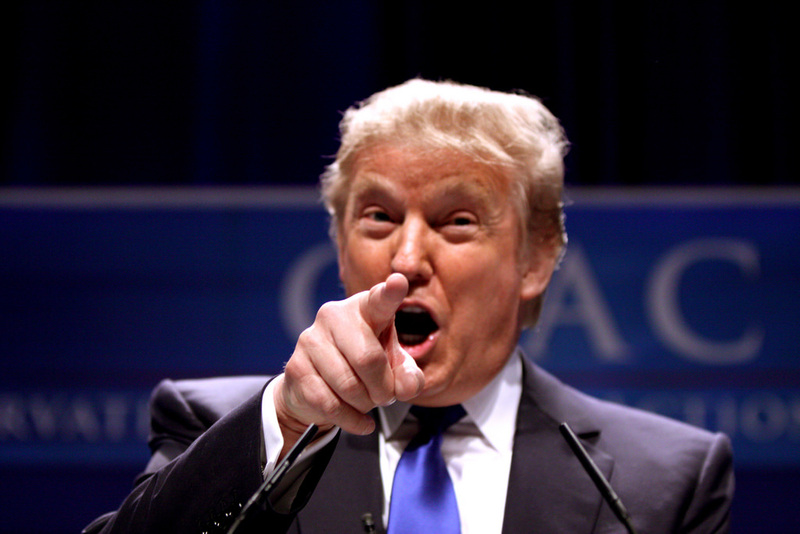 The sudden breakdown of TPP is thus creating a a vacuum in which the balance of influence is tilting towards China. This is especially true for ASEAN countries. As the Trump administration has pulled the US out of TPP, Vietnam, for example, must look elsewhere. Partners of both the RCEP and Vietnam-EU Free Trade Agreement (EVFTA), which include E.U. countries, India and Japan, are complementary economies to the Vietnamese market. Although the strategic and institutional gains Vietnam hopes to reap from these two are incomparable with those of the TPP, a change of direction is still necessary. Vietnam’s TPP deals with the US already serving as a considerably advantageous foundation compared to other Asian partners. Thorny issues, such as labor union, and government procurement, have led to both parties being able to achieve a common ground. It must be emphasized that it is not tariff abolition, but non-tariff standards which have brought Vietnam and the US into an agreement of great significance. Standards concerning labor, the production chain and others, while difficult to meet, may facilitate an immense stream of US investment into Vietnam’s service and manufacturing sectors once Vietnam manages to achieve. Having good relations with this moderate grouping ASEAN could help to enhance the relationship between China and individual ASEAN member states. China hopes to use new ideas and projects as main instruments to ensure survival and expand power in an environment of ever-changing security. For instance, since the announcement of the 21st Century Maritime Silk Road (MSR) project, there have been many different ideas suggesting a connection between the MSR and Master Plan for ASEAN Connectivity 2025 (MPAC 2025). Located in the upper part of China’s MSR, ASEAN Ports Network (APN) proposes to connect 47 ports of ASEAN countries. Expectations surrounding Beijing’s investments in the ASEAN Ports Network might have financial ground that OBOR could be another financial source of ASEAN connectivity plan. In addition for China, the whole OBOR initiative is also a potential solution to solve the industrial overcapacity problem in the country. However, there is still a lacking of strategic understanding of the MSR, due to the fact that China has its own calculations concerning connecting infrastructures. There are two relatively consistent principles of Beijing’s infrastructure politics. First and foremost, it is to create a general connection between different kinds of infrastructures, including roads, railways, ports, waterways, even manufacture zones, logistic zones and storage zones of Chinese enterprises in the region. Similar models have been carried out in Africa, and most recently, the proposal “East Coastal Rail Line” in Malaysia. According to a report from the Strait Times, the construction of new roads and flyovers from the port complex to a nearby industrial park is almost complete, and the East Coast Rail Line project (ECRL) will connect ports on the east and west coasts of Peninsular Malaysia to Kuantan Port. The second principle is creating a parallel version to avoid the main route through the Straits of Malacca. Currently, China has up to 29 of 39 marine routes, around 60% of exported and imported goods, and 80% of imported oil going through this strait. Leaders of Beijing for long have talked about security “dilemma” – describing Malacca as a “knot at the top of a neck” without any easy solution. From this point of view, China would not want either the roadways or the waterways they build to lead to ports around the South China Sea, but to link to the Straits of Malacca. Instead, China is making efforts to build alternative routes to connect to the South Asia – Indian Ocean region. Since 2010, along with promoting two railway routes in Thailand and Laos (which did not start until the end of 2015), China also declared its intentions to build a railway route connecting the country to the Indian Ocean via Myanmar. The intended railway route, called Kyaukphyu – Kunming would cost 20 billion USD. The purpose would be to transport oil, gas and goods from Kyaukphyu Port to Kunming and back. This route would be connected via the Bangladesh, China, India and Myanmar Economic Corridor (BCIM) and the China–Pakistan Economic Corridor (CPEC). This would give China three alternative routes to the Straits of Malacca. These three routes would not only be the shorter but also much safer for China. Connected infrastructures can be regarded as a tool of power. Dominant powers can reshape regional infrastructures in various ways. The tumultuous history of these infrastructures clearly shows how much imperial designs are based on material underpinnings, lending credibility to the assumed links between order and large technical systems, such as artificial canals, ports, roads and railways. The importance of the Suez Canal and the Panama Canal are sometimes alluded to, as they serve as transportation hubs for hegemonic power projection of Great Britain and the US. ASEAN, on the other hand, has different expectations when it comes to the major transportation connectivity plans between the regional grouping and China. Despite the fact that ASEAN has the same goals as China’s OBOR (One Belt, One Road) Initiative, ASEAN’s infrastructure systems – in Beijing’s view – do not have strategic correlation. On the other hand, new infrastructural connections (which might be more China-centered) might pose a challenge to ASEAN connectivity. By using the strategy of “breaking each chopstick”, each ASEAN country would feel the push force to connect with China. Since the end of the Cold War, regional multilateralism with ASEAN at its core has been institutionalize by bureaucratic protocols, which often lead to stagnation in decision-making process. All of the actors have always been diplomatically neutral in their engagement with others, trying to stay away from any political intricacy and conflicts. 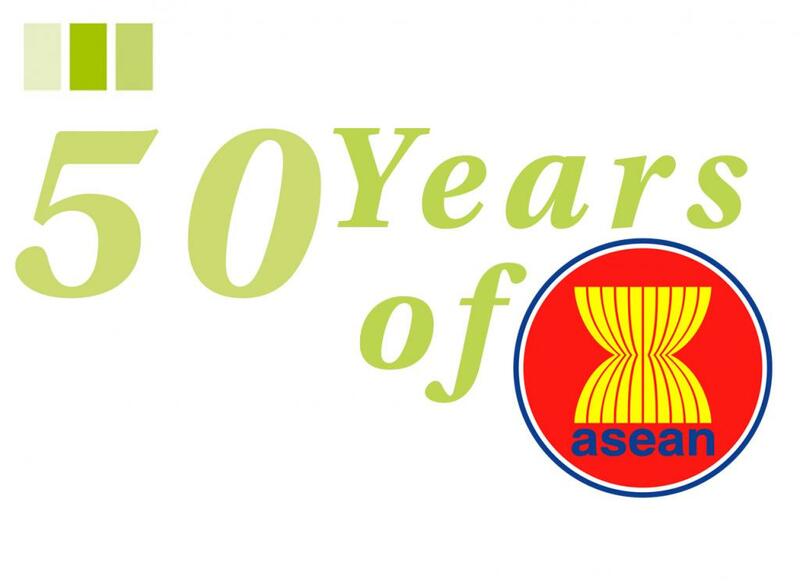 The “ASEAN way”, in which member states have tacitly adhered to many implicit diplomatic protocols and the famous non-interference principle, was proven to be effective on the economic front in the early decades following the birth of the organization. ASEAN has shown on many occasions that in order to be regarded as a central role in regional political structure, there is still much work to be done. Multilateral arrangements with ASEAN at a central figure, such as the ASEAN Regional Forum (ARF) or the East Asia Summit (EAS), are still playing minor roles in the region’s political and security arenas. It is better, of course, for regional leaders to set up forums and communicate with each other. Nevertheless, after two decades of multilateralism, regional security is still facing more challenges than ever before. A fundamental problem with ASEAN is a lack of unity in terms of “threat perceptions” vis-à-vis China, however. However, the overwhelming priority for ASEAN is to resolve its own internal disparities, which have restricted the bloc’s actions against China as well as its ability to engage other major powers in a peaceful South China Sea dispute settlement. Last April, at the 30th ASEAN Summit in the Philippines, a joint statement was released without mentioning "land reclamation and militarization"”— words that have been used in several recent joint statements by the bloc to express concern among Member States about China's artificial island and its actions in the South China Sea. Critics were quick to target primarily the Philippines and President Rodrigo Duterte, claiming that the Philippines was deliberately mitigating the South China Sea issue for China's sake. As a consequence, ASEAN has set a low threshold for the next joint statement. ASEAN countries continue to look forward to the process of developing the Code of Conduct. Indonesia, one of the core members, has opposed the participation of powers, and has also expressed its desire to discuss the joint statements among member states before discussing with China. The Philippines, which chaired the summit this year, has taken certain steps in China's concessions and has reached a soft approach in speeding up the development of the code. The country has decided neither to mention the award in the arbitration case between the Philippines and China over the South China Sea, nor to discuss China's escalating actions in the meeting. At the same time, the Philippines will have bilateral talks with China and has also expressed their desire to issue the final draft at the ASEAN Ministerial Meeting in August in Manila. Since 2009, the lack of normative order in the South China Sea has been paving the way for legal and academic fireworks. That’s why the Award issued by the Tribunal in 2016 has offered a chance for ASEAN as an organization of countries in Southeast Asia and ASEAN member countries to reassess its policy options in order to respond to opportunities and challenges arising in the post-arbitration context. 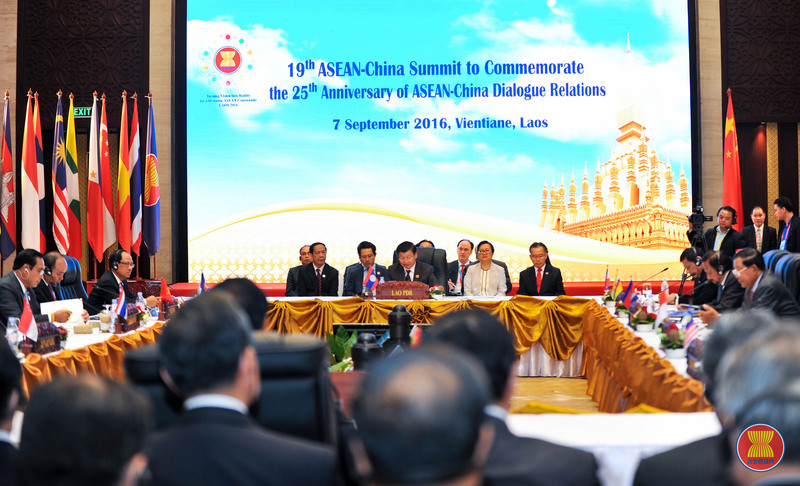 When gathered together, ASEAN remains an important factor. Maritime Southeast Asian states may also become particularly important in China’s implementation of its Maritime Silk Road strategy. ASEAN could use this strategy as leverage to expand its agendas in shaping the engagement of both Beijing and Washington, thereby promoting its own regional integration programs as well as other economic and security interests. It is also a time for Vietnam to boost its relationships with other regional claimants and encourage ASEAN centrality. The first target should be Philippines-Vietnam-Malaysia-Indonesia strategic cooperation. The broader significance of Philippines-Vietnam-Malaysia-Indonesia partnership, however, lies in how it fits into a broader network of informal alliances on China’s periphery. These four states should develop and adopt a common position on various aspects of the law of the sea in the South China Sea based on the award. For ASEAN, operating in the context of a regional power shift, normative and legal approaches were and will remain the most feasible solution in dealing with stronger nations. Furthermore, ASEAN must first and foremost decide to share its abundant political burden equally amongst member states and at the same time find ways to diffuse some of its political capital in order to bring about long term stability. A simple step would greatly improve the effectiveness and influence of ASEAN as a regional organization: establishing majority vote mechanism. Or in a less divisive manner, all essential decisions of the organization should be made on the basis of a two-thirds vote. A different approach could be resolving the negative effects of decision-making based on consensus. Veto power shall be removed. Institutionalizing the rule of “ASEAN minus (country) X”, a formula for flexible participation instead of consensus mechanism, would be critical for the future of ASEAN as a core of any regional structures. Fairbank, John (1968), The Chinese World Order; Traditional China's Foreign Relations, Cambridge, MA: Harvard University Press (1968). Xi Jinping, “New Asian Security Concept for New Progress in Security Cooperation,” Remarks at the Fourth Summit of the Conference on Interaction and Confidence Building Measures in Asia, Ministry of Foreign Affairs of the People’s Republic of China, May 21, 2014, http://www.fmprc.gov.cn/mfa_eng/zxxx_662805/t1159951.shtml, retrieved May 2, 2017. The Regional Comprehensive Economic Partnership (RCEP), which is currently being negotiated amongst ASEAN countries and six other partner countries (Australia, New Zealand, China, Japan, South Korea and India), becomes a possibility where ASEAN central role could be strengthened. Lopez, L. (2017). “Malaysia's East Coast Rail Line touted as a game changer,” Strait Times, http://www.straitstimes.com/asia/se-asia/malaysias-east-coast-rail-line-touted-as-a-game-changer retrieved May 2, 2017. Manning, R. A. (2016). “Time to rethink ASEAN,” Nikkei Asian Review, http://asia.nikkei.com/Viewpoints/Viewpoints/Robert-A.-Manning-Time-torethink-ASEAN retrieved May 2, 2017. Tang, S. (2016). “Asean must reassess its ‘one voice’ decision-making,” TODAY http://www.todayonline.com/commentary/asean-must-reassess-itsone-voice-decision-making retrieved May 2, 2017.